Damon and I were especially thrilled to see Delanie on Anniversary night! 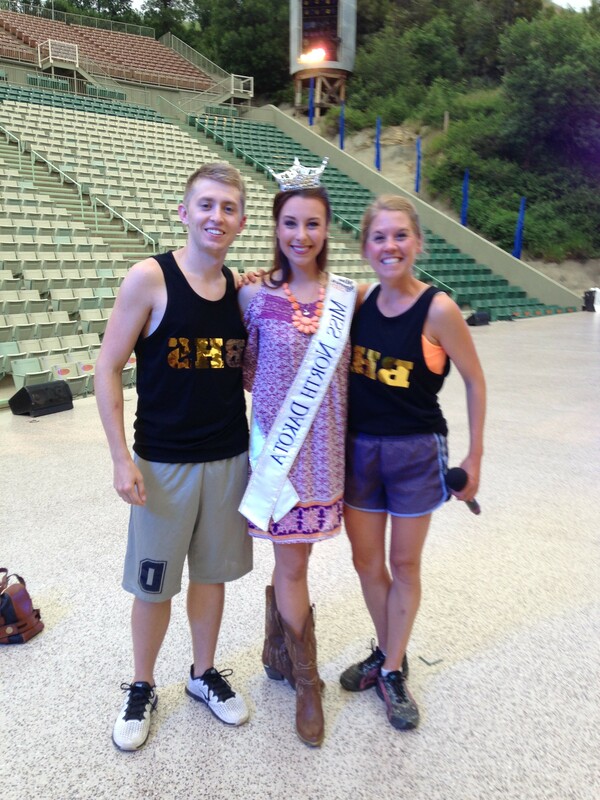 She is of course, our fellow 2014 Medora Musical North Dakotan! Like any alumni of the Medora musical, it is exciting to introduce them to the current cast. I introduced Delanie to Olivia — we were all smiles. Both ladies have beautiful long brown hair, both from North Dakota, both joining the trio with Damon and I, just in different seasons. Needless to say, it was a fun moment! And of course congratulations to Delanie, our new Miss North Dakota! We are so proud. The Bad Lands Cow Boy Rides Back into Medora!